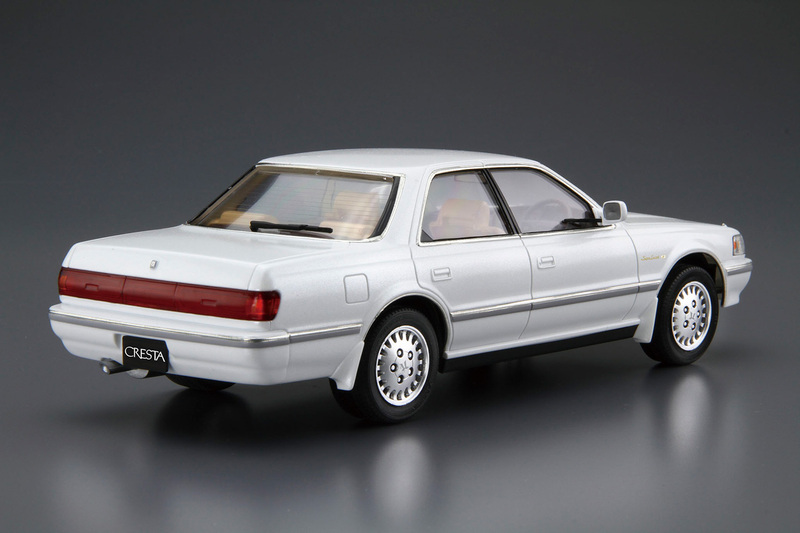 As the 3rd generation Cresta, X80 series was released in August 1988 as a full model change from the X70. Maintaining its overall design concept, it added a curved design to meet the trend of the day. From X80, all straight-6 piston engines models became DOHC 24 valve, and equipped with strut suspension in the front and double-wishbone suspension in the rear. The combined sales of X80 including Mark II and Chaser became #1 in the series. 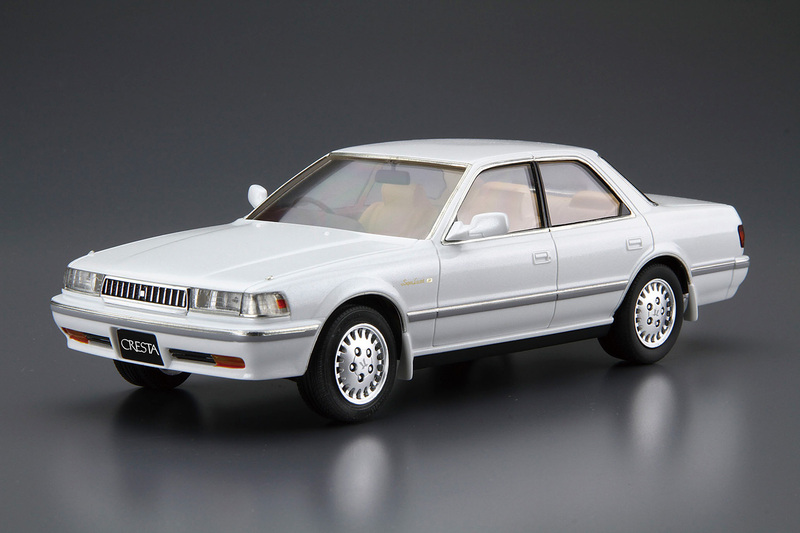 This kit replicates the JZX81 Cresta in its“2.5 Super Lucent G" catalog specifications. Additional parts include front/rear spoilers, slit mask and low-down parts. 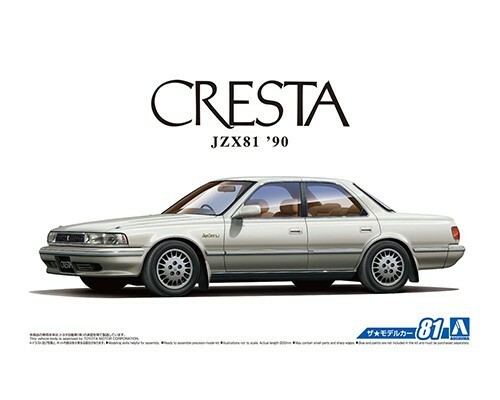 Also with the 1G-GZE/1G-GTE engine and aero parts, you are able to build the Cresta to your preference.